… when it has a cover like this. Thank you Fiona Jayde for the beautiful cover work! I am so excited. Friends, please check out Fiona’s other work here. November 10, 2014. Mark this date in your calendar. Enter it on your smartphone. TATTOO IT ON YOUR FOREHEAD. Whatever it takes to remember the date, I am proud to formally announce that Gateways will be released for all major e-book formats on November 10, 2014. For those of you without e-readers, an official PDF version will also be released the same day. I am planning to have pre-orders available at certain e-book retailers starting around or just after Labour Day, 2014. Please help me spread the word! Also, stay tuned for another exciting announcement coming very, very soon. 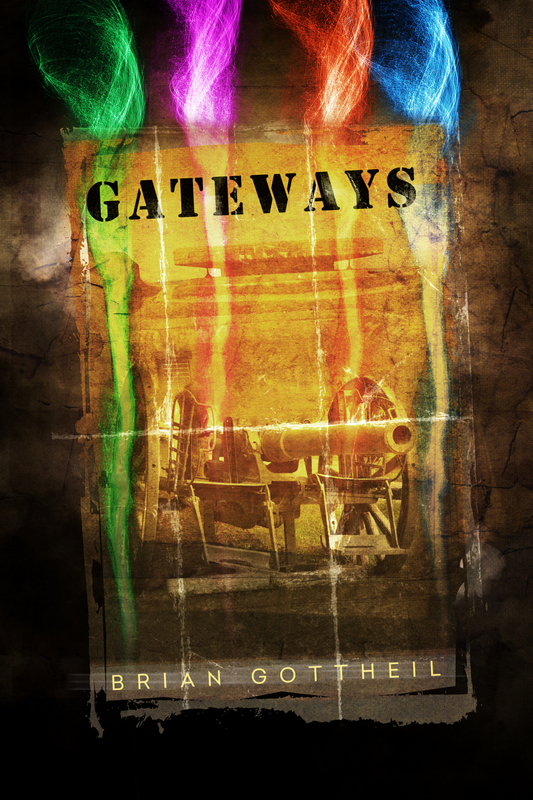 Gateways is set during a fictional, alternate-world conflict inspired by World War I. The novel is, ultimately, about the difficulty of finding peace. The antagonist of the novel is not any of the factions who are fighting, but rather the combination of circumstances, interests and inertia that conspire to prolong the war. Throughout the novel, the goal of the hero, Caryn Hallom, is to negotiate an end to the fighting. The real World War I ended with the signing of an armistice agreement at 11:00 a.m. on November 11, 1918. It seemed appropriate to me to release this novel on the anniversary of that famous armistice. But I would not be alone in honouring the memory of November 11, 1918. To this day, November 11 is marked as Remembrance Day (Canada/UK) or Veterans Day (USA), and by other names in other countries, to honour the sacrifices made during wartime and hope that its horrors will not be repeated. The more I thought about a potential November 11 release, the more it struck me as disrespectful of those men and women who fought and died in real wars, if I were to co-opt the day dedicated to their memory for the purpose of selling a novel about a fictional war. So instead of November 11, I decided to release Gateways one day earlier, on November 10. This way, I feel that I can tie my novel into the historical parallel, while still honouring and respecting the spirit of Remembrance Day.